A cub sportswriter penned a ballad during his lunch hour one spring day, dropped it on his editor’s desk – “Use it if you want it” – and forgot about it. Two weeks later, on June 3rd, 1888, the saga ran full-page in the San Francisco Examiner and twenty-four-year-old Ernest L. Thayer’s Casey at the Bat entered the great pantheon of our national pastime, winning him an inclusion in the Baseball Hall of Fame. But it would be a half-century later that a true ballplayer would bring Thayer’s work to life, from memory and at the drop of a hat, in ballparks, team buses, Little League award barbecues, school classrooms and wherever else the Boys of Summer gathered (that not politically incorrect, but a collective for the girls and boys gathering for T-ball at Swope School through to AT&T Park because they love the game) – when Bud Beasley paused at Thayer’s words, But Casey still ignored it, and the umpire said:, a delighted crowd of kids of all age and gender boomed out, Strike two!, for fifty years. There was ease in Casey’s manner as he stepped into his place; there was pride in Casey’s bearing and a smile on Casey’s face. 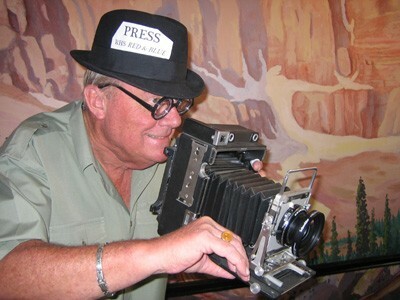 RG-J columnist Guy Clifton penned a superb bio of Bud and I won’t even attempt to embellish it, but Bud was our kind of guy – our teacher, mentor and coach for 38 years of us strong at Reno High School, and in later life deeply involved in many youth organizations, a stalwart of the RHS Alumni Association, a bastion of influence for the Good Old Days club, and a fireball to the very end. 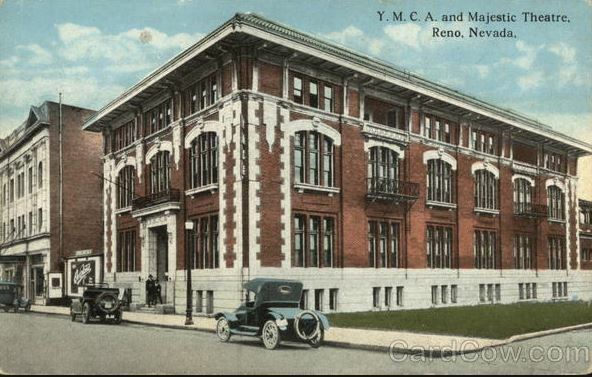 We’ve got to include at least one Beas anecdote: On the ropes while pitching at Sacramento’s Solons Park in a Pacific Coast League game in the 1930s, Bud returned a dinged-up ball to the catcher for another. He got it, but a couple batters later the new ball left the park on a pop foul. The catcher sent out the ball Bud had previously squawked about, so he returned it yet again to the catcher for a better one. That ball eventually left the field of play, and the catcher threw out a replacement, guess what, the same bum ball Bud had refused twice before. Bud pointed to a fan high in the bleachers above first base and threw the offending ball to the lucky guy for a souvenir. The ump sternly summoned Bud to home plate to render an admonishment, and Bud recalled that he, the umpire, the catcher, and the batter all struggled to keep a straight face for the benefit of the crowd and the dignity of baseball. Such became our sport whenever he was in the vicinity. Ten thousand eyes were on him as he rubbed his hands with dirt; Five thousand tongues applauded when he wiped them on his shirt. If not ten thousand eyes, then at least four hundred, grew wide as the smallish man, already in his later innings, wove the tale of Casey in the animated, vibrant way that Thayer could have only dreamt that anyone would deliver it 112 years after he so casually wrote it. And I noted not just a few adult eyes growing a little misty and that wasn’t from the chill December air. And somewhere men are laughing, and somewhere children shout; But there is no joy in Mudville – Mighty Casey has struck out. There should be great joy in all the Mudvilles of baseball this World Series week, for we had the pleasure of Bud’s knowledge, wisdom and humor, on and off the diamond, for 93 years. 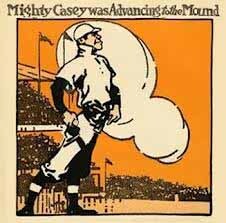 We all know that Mighty Casey fanned in the ninth stranding Flynn and Blake in 1888, but last Saturday morning Bud Beasley was ruled Safe, at Home. Have a good week; tag up on the infield flies and God bless America. I have for many a moon prided myself in sharing Ernest L. Thayer’s Casey at the Bat with whoever would listen, or wouldn’t listen, or who’d prefer not to, or who’d heard it before – I didn’t give a damn, I’d recite Casey at the slightest provocation. I held out Ernest L. Thayer, who wrote the poem for the San Francisco Examiner in 1888, as my hero. A guy who loved baseball, who could write. I noted in a column 15 years ago that his poem, written when he was a teen-aged flack in the Examiner’s sports department and casually offered to his editor – “Use it if you want to” – put him into the Baseball Hall of Fame. I was contacted by the Baseball Hall of Fame three days after my column was published, and told that only players, managers and owners are “enshrined” in the HOF. As a matter of fact, Thayer is better than “enshrined” – a statue of his Mighty Casey graces the entrance to the Hall. Now, the U.S. Mint is vetting baseball players worthy of having their visages struck onto US coins. I have nominated, through Scott Ostler of the San Francisco Chronicle’s sports department, Mighty Casey, with Ernest L. Thayer’s likeness in a half-tone in the background.